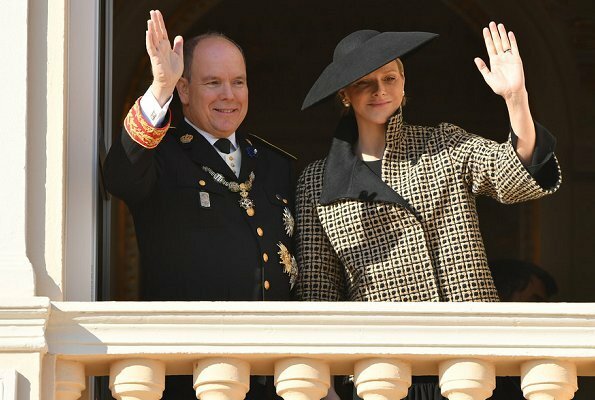 Today, The Principality of Monaco is celebrating Monaco’s National Day 2018, or “la Fête du Prince". 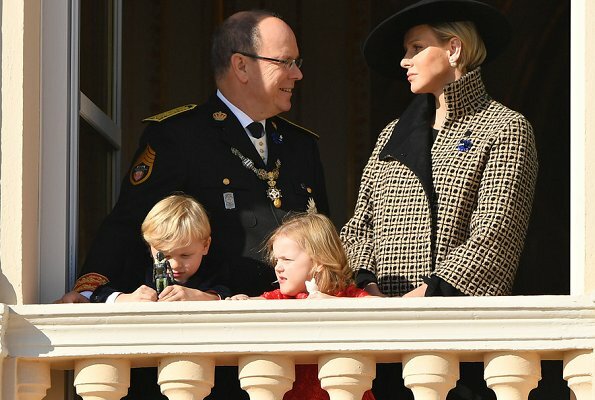 Monaco's National Day is also known as Sovereign Prince Day. Celebrations of the National Day began with a Te Deum Mass in the Monaco Cathedral. 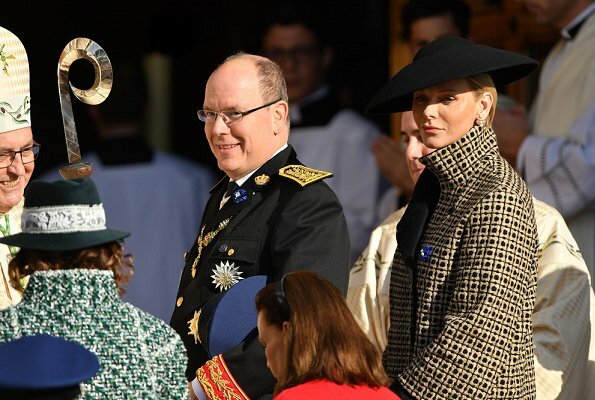 Prince Albert II, Princess Charlene, Princess Caroline, Princess Stephanie, Pierre and Beatrice Casiraghi, Princess Alexandra, Andrea and Tatiana Casiraghi, Camille Gottlieb, Pauline and Louis Ducruet attended that church service. 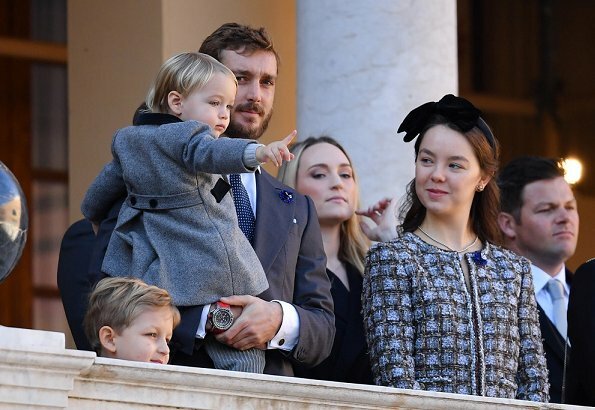 Afterwards, they attended the military parade held at the Principality Palace. 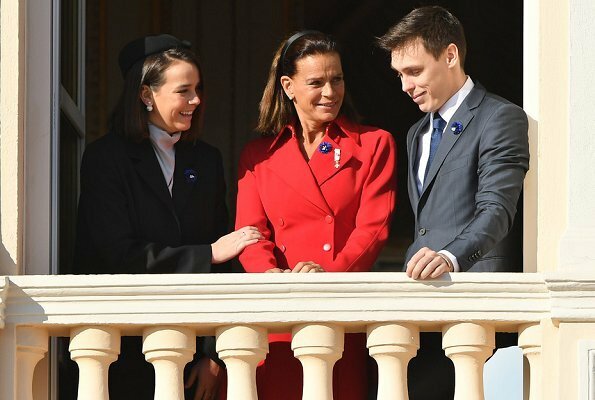 In the evening, a reception and a gala evening will be held as part of celebrations of the National Day. 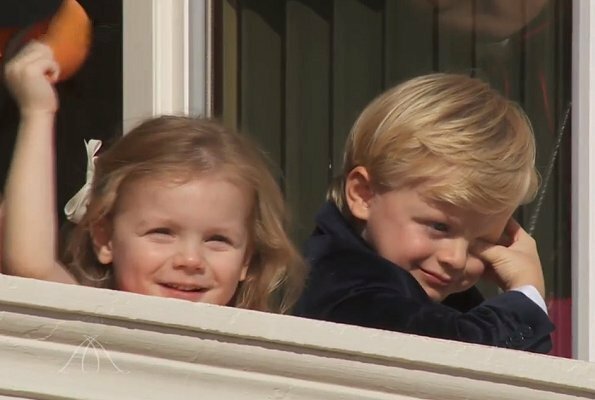 Prince Albert and Princess Charlene, their twins Crown Prince Jacques and Princess Gabriella watched the celebrations from the window of the Palace. They all look surprisingly good (no weird outfits around), but they also all look surprisingly depressed. Has something terrible happened? I thought the exact same thing. All outfits are nice. Caroline looks like she has been crying for days. Where is Charlotte? Agree. But isn't it a normal expression of this family, always with this strict expression!? As for Fashion: What is Charlene wearing on her head? Stephanie looks very good in red. 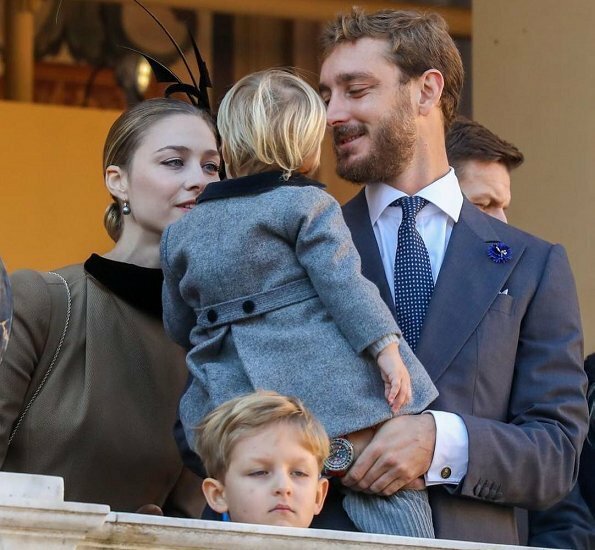 Also Beatrice Borromeo looks good. 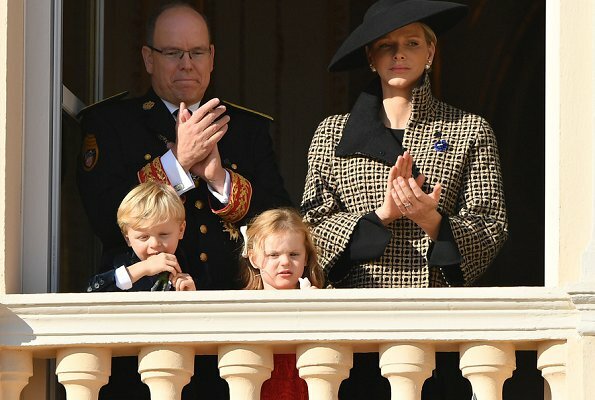 I´ve heared a speech of Princess Charlene in French, she did speak very well. Today I like her hairstyle, her boots, the color of the coat but not the cut and I like her warmhearted personality. The twins are adorable and their father is smiling with them. I've also heard Charlene speak (or attempt to) French and she didn't do well at all. The other day at the gift given she couldn't even ask someone to carry a bag in French. Her understanding may be fine, she may even have a fairly extensive passive vocabulary but the sad truth is that she cannot carry out a simple, everyday spontaneous conversation in French. I would like to think, that this is a fashion blog. Wie is die dame met lang blond haar?? Gilberte, I'm going to take a big guess, I'm sure it is Charlene's brother, and his wife. 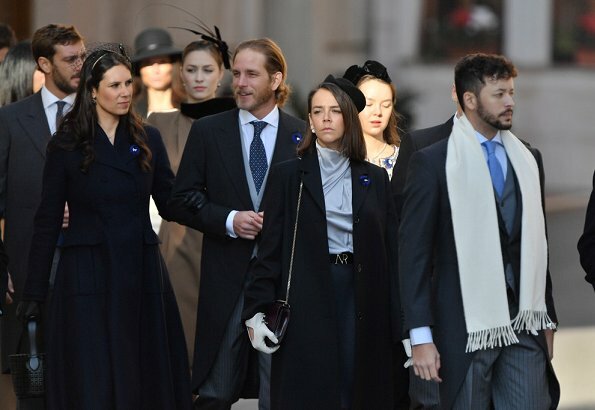 And yes, I agree with you all, why do they all look so miserable, and Blair, it's not only this year and last year, but every year that they looks so depressing. Look at the photo where Albert tries to make a joke with Charlene, and she just give him a cold stare. Who's the babies that Caroline are holding? Why does everyone look so miserable? 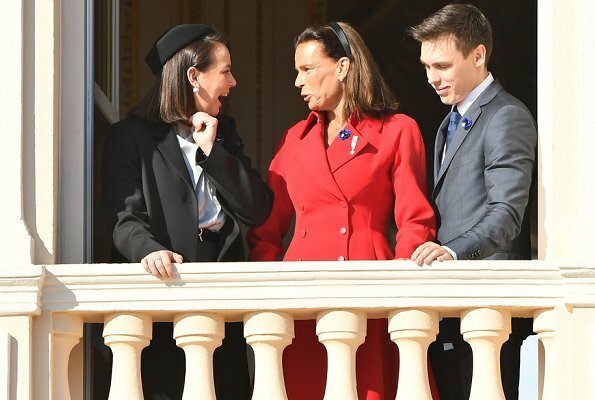 I still remember those photos from last years National Day, and they looked even worse than these. Everyone had a frown or scowl on their face. What's going on in that family? C'est jour de deuil ? Ils ont appris une mauvaise nouvelle ? I cannot say that I like Charlene's outfit this time. It is boxy and shapeless and the hat is too small for the large silhouette the jacket, wide skirt and serious boots create. A bit of a dissapointment for me. 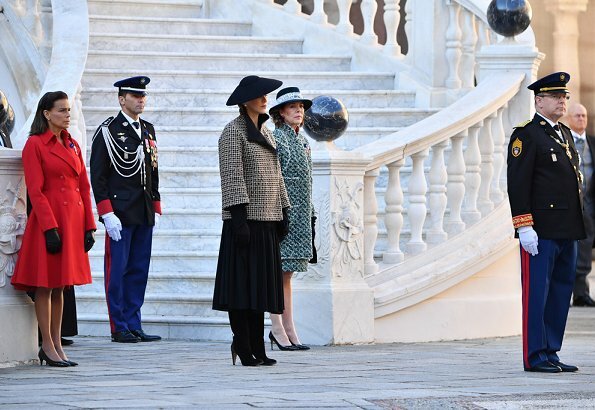 Caroline's outfit is quite nice, but is the hat home-made? 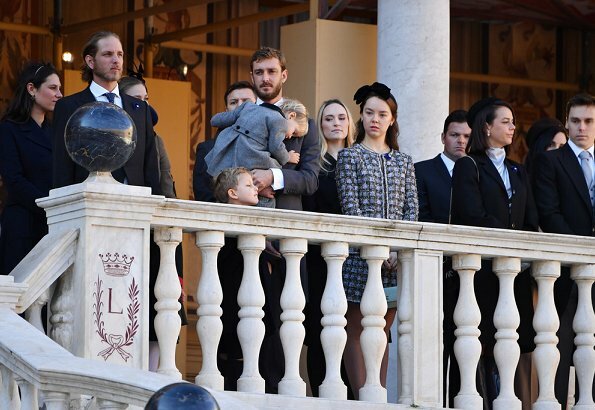 All of them look very chic, in a very luxurious but a little depressive way. Beatrice..... wow. Carefree chic at its very best. The only one, imo. I love her coat except for that big button. The rest of them? Caroline and Charlene, a big no, no, no. Alexandra, meh....Stephanie, not bad. Tatiana looks elegant for once. meisje , d,r haar niet mooi zit ,ze heeft zo mooi haar ,dat vind ik jammer !!!!! Gabriella will definitely become a confident beauty. 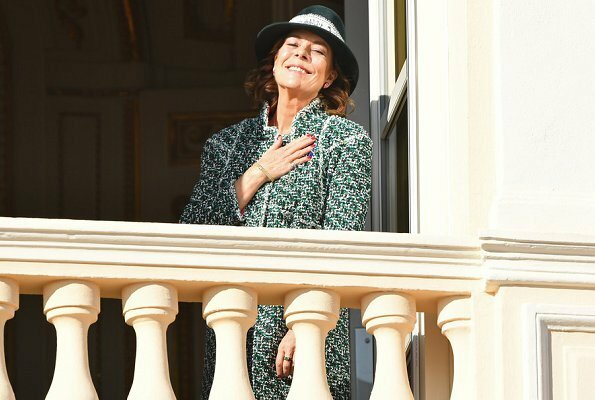 On a dit qu’Alexandra deviendrait jolie et je ne vois rien venir . Like everyone, I have to wonder - why so much sadness? Isn't this a day of happy celebrations? Their faces (almost without exception) look like they would if they attended a funeral. 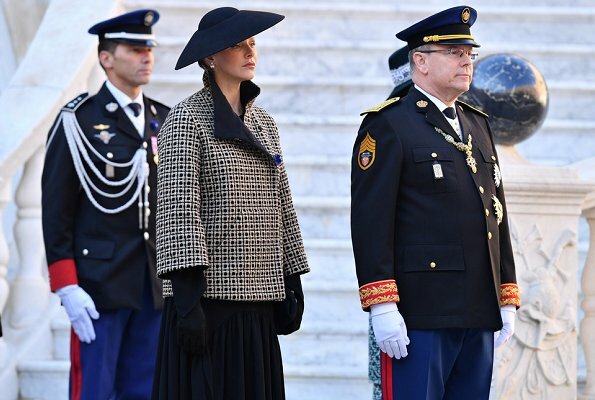 Back to fashion, no disasters (like we have seen in the past) but other than Beatrice's outfit, all the others are "meh" indeed. Beatrice has some natural, born elegance about her (aided by her nice physique). Stephanie's coat is nice, however a little "teenage girl-y" - but she gets a "pass" from me. Can't say the same about Charlene. It's an odd mixture of silhouettes that seems to have been just thrown together. And (like someone commented above) she certainly still looks uncomfortable. we really don't know what is going on there, but I can't believe after all these years that she and the rest of the family haven't been able to settle whatever differences they had. I also can't believe she still hasn't learnt French. If that is the case - no wonder no one else in the family likes her. 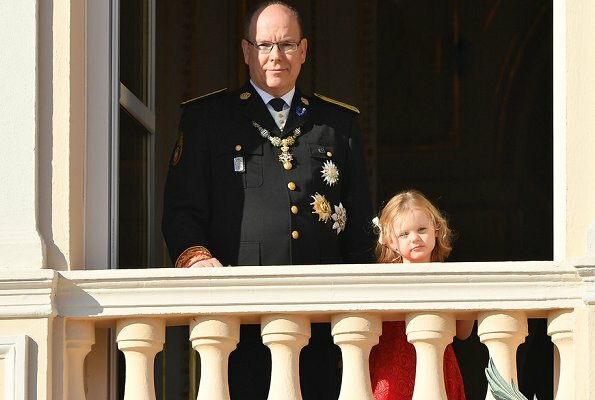 I understand that she isn't very popular with the people of Monaco either (which makes me think it has to be difficult for Prince Albert). 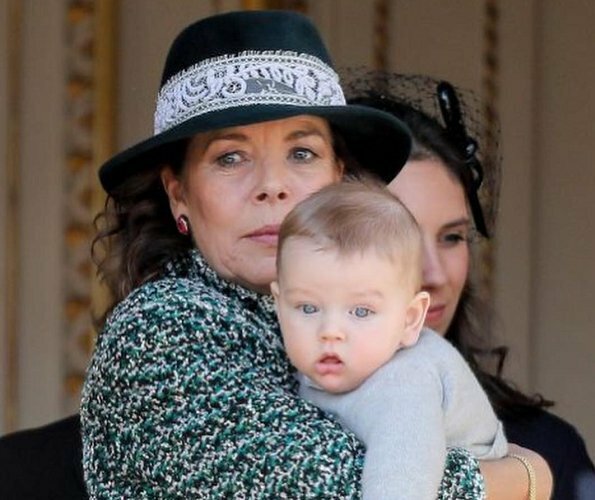 Caroline used to be one of my favourite royals, but life was so unkind to her that she now looks tired beyond her age. The outfit is alright (she has done better in the past though), the ht is a bit odd and I m not sure what to make of it. And last observation: I like that the gents are wearing morning suits, these has such a festive connotation. And they look good on all of them. Fortunately there are the kids and Stephany's family to refresh the scenery. A National Day is an occasion for joy why this hyper-seriousness? Yes very nice coat for Beatrice and Stephany. No comment about Charlene's outfit, just too dull and dark. I hope we will get some more joyful pictures. 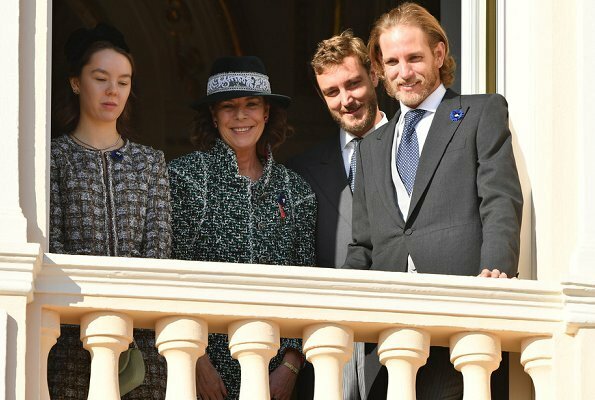 Beatrice Casiraghi est la classe innée. Everyone looks good. Charlene's outfit is definitely a looser fit and a contrast to last year's. It looks like a cold day at the beginning of winter and people are standing in the shade rather than the sun. Hope the pregnancy is going well for Charlotte. This year National Day is following the centennial of the Armistice. Wouldn't that make everyone a little more solemn this year? It can't be easy for Charlene. She had to convert to Catholicism, which can be strict with behavior rules and the family is clearly a southern european, easy going family. But, there's always penance and reconciliation. 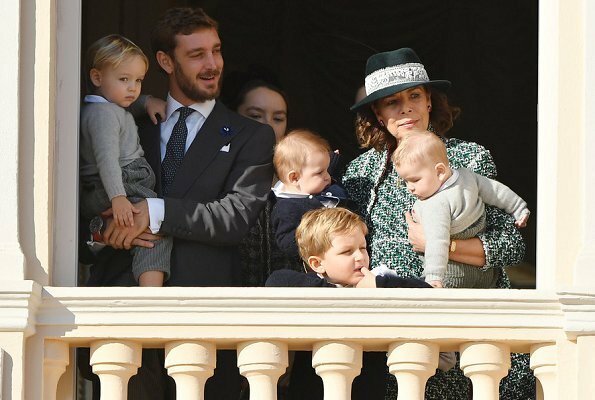 Charlotte gave birth at the beginning of October. Charlotte has already got his baby. Charlene looks terrible - awful jacket,terrible make up, miserable face. Caroline - frumpy, frumpy - looks better on the balcony when she opened the coat. The cheap looking lace trim on the hat is not good. Stephanie's coat is colourful, tailored and she has put on a pair of heels - hair next time, maybe? Alexandra - too young for the suit but it's fine, I like her fascinator thing. Pauline - dreadful blouse and boots. Beatrice very elegant as usual and I really like what Tatiana is wearing, much more classic than usual. It's all a bit sombre this year - thank goodness for all the little ones on the balcony. Goodness gracious!! What happened here? Only Beatrice looks good, actually gorgeous except that I could do without that mushroom on the dress. 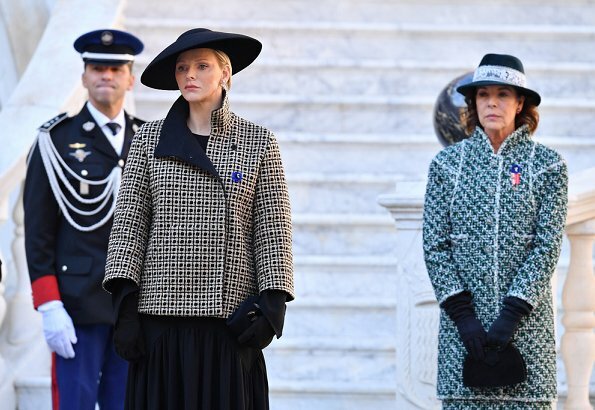 Caroline: the outfit is not flattering, but the killer is that lace on the hat with lace and tweed, I can't imagine a worst combination. Charlene: The idea was great, but the execution doesn't work, too boxy, strict and frankly looks like a costume. Stephanie: the coat it's OK, it with that hair nothing can look elegant. As a side note, I have to say that I don't care as to whether women use and abuse plastic surgeries and fillers, it is their choice, but I don't recognize Charlene anymore, and whatever she is doing to her face is not making her look better or younger, maybe it's time to find a different team. Beatrice is beautiful and I think her ensemble is "OK", but Stephanie looks appropriate to the occasion with her bright red coat and heels. Why is everyone else in somber tones when the national colors are red and white? I don't get it. 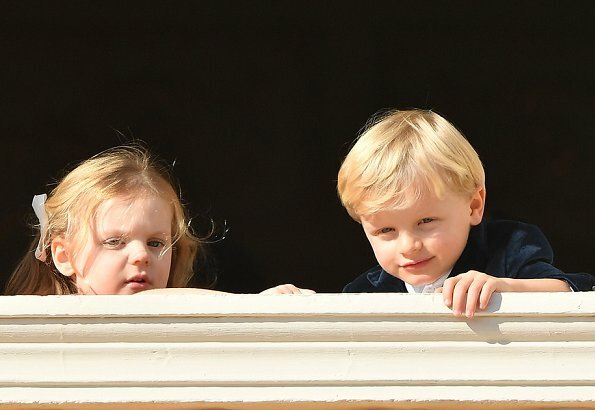 Anyway.... the babies are adorable. Like Pss Charlene's skirt, also the jacket, the only thing with it is , no shape, the jacket is too boxy. Caroline I am sure wears Chanel as always. Stephany looks good in red.All three of these Ladies look like the sucked a lemon, or did not wanted to be there. This is National Day a happy event?. All of the children are super cute. They were the highlight of this event. 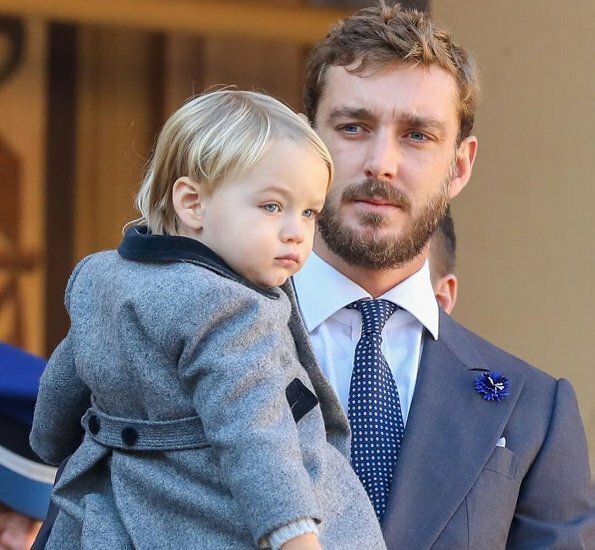 Little Stefano Casiraghi is the most beautiful little person around!! 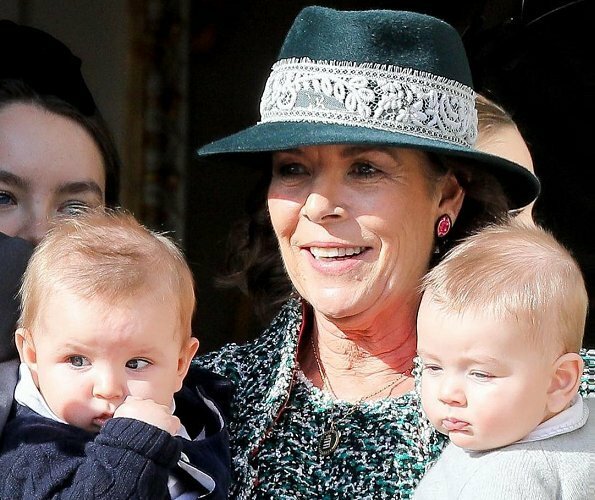 Clearly, Caroline loves her role as a Granny very much! Just remembered the pictures with her former husband Stefano when her own kids have been so small... Time is flying. I hope she is "contant" with her life in these days.She looks simply lovely. I loved seeing the little ones today. I do wonder why everyone seem sad in the photo's. I didn't see Camille Princess Stephanie daughter. Does Pauline have a boyfriend? Beatrice looks like Da Vinci painting from Renaissance. I really don't like Charlenes outfit, it fits nothing. I wonder why Charlene looks so sad.. looks like something is really hard for her. Charlene looks miserable lately. So serious and this is not one of her better outfits. What's up with this family they look painful, especially Charlene. Such a pity.